By John J. Metzler - UNITED NATIONS — Consulting my crystal snow globe reveals a blizzard of events, many of them unpredictable which await us in the New Year. And after 2017’s roller coaster and often bizarre political events, it’s difficult to believe that 2018 may hold many unexpected surprises. Let’s take a quick world tour to see a number of crises confronting and challenging us. East Asia: North Korea’s nuclear and missile proliferation tops the clear and present danger threatening the globe. Resolving this crisis with the right mix of diplomacy and active deterrence presents the biggest challenge on which hinges war and peace for South Korea, Japan, China and the United States. Let’s hope for a peaceful Winter Olympics in PyeongChang, South Korea this February. And will North Korea join the Games? Middle East: Just a few short years ago Islamic State (IS or ISIL) was on verge of conquering Iraq and Syria. An issue of the Economist (May 23, 2015) warned that with the fall of Ramadi and Palmyra that the Caliphate’s grip had spread through a wide geographic region and would likely become entrenched as a formal state. Less than one year of focused and unhindered military operations with our allies, the Trump Administration has smashed IS and shattered the geographic Caliphate. While not totally vanquished, Islamic State has been dealt a mortal military and psychological blow by the loss of its territory and fighters. Syria remains embroiled in a ruthless civil war but the defeat of Islamic State and other terrorist groups, opens the path for political dialogue. Rebuilding Syria’s towns and cities is one thing, remaking the broken lives remains problematic. The return of even half of the millions of refugees remains a daunting challenge. And what about a long-sought political settlement? Does embattled Syria end where it started seven years ago? the nationwide disturbances caught both the regime and media pundits off guard. Whether the pro-democracy rumblings can be sustained in the face of massive regime counter-force and coercion remains problematic. Teheran’s rulers were bolstered politically when the Obama Administration and UN Security Council members signed the 2015 Iran nuclear deal. The U.S. subsequently sent $1.7 billion in cash to the mullahs under various pretexts! Europe: Last year witnessed the improbable election of political neophyte Emmanuel Macron in France. Germany saw inconclusive elections in September where Chancellor Angela Merkel is still unable to form a coalition government, highlighting a dangerous political drift in Europe’s largest country. Spain faces strident separatism in Catalonia. Britain battles with the undertow of BREXIT. In Russia, President Vladimir Putin is seeking another term in office and is likely to handily win. Russia will host the FIFA soccer World Cup in June. Sadly, Ukraine remains mired in a bloody separatist conflict on its eastern frontier which Moscow’s minions continue to fuel. Africa: The good news was that Robert Mugabe, Zimbabwe’s long ruling tyrant, was toppled. The more sobering assessment is that the new government is cut from the same political cloth and can be expected to remain a close political comrade of China. Elsewhere in Africa the UN remains mired in a number of costly peacekeeping operations, ranging from South Sudan to Congo. 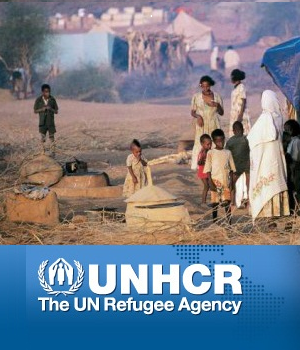 Humanitarian crises plague Africa from the Central African Republic to Libya. Latin America: Venezuela’s hyper-nationalist regime has sunken deeper into a socialist quagmire. Other countries have embraced market policies such as Argentina and now Chile. Cuba, a personal fiefdom of the Castro family since 1959, appears on the cusp of a generational transition to a communist regime without the Castro’s. North America: The USA has experienced a tumultuous political year. Nonetheless given growing investor and consumer confidence, the stock market has soared upwards, unemployment hit a 17 year low, and the economy has seen an uptick to levels which somehow seem detached from the political shenanigans in Washington. During 2018 the American economy is set to expand dramatically. To be sure, catastrophic crises continue; Yemen is wracked by famine and civil war. Horrific human rights violations against 600,000 ethnic Rohinga in Burma progress unabated, not to mention North Koreans outside Pyongyang and in prison camps. As always, the world stage is set for jolting surprises.